I can’t believe it’s already the end of November. As far as the stores are concerned, we’ve skipped right over Thanksgiving and moved on to Christmas. I guess that’s where all the money is. However, we must NOT forget this Thanksgiving when many of us get to be with family and friends and celebrate all the things were thankful for. Money can’t buy these times and memories. Snap those photos and here are some thoughts about how to make a greater impact in your scrapbook. It’s not entirely about the photos but the emotions and festivities that go along with them. Colored leaves remind us of Autumn AND the colors of Thanksgiving. 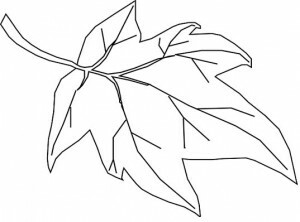 Idea 1: how about if you take this leaf and use it as a template on colorful cardstock, cut it out, give each person a leaf and have them write on it what they are thankful for. 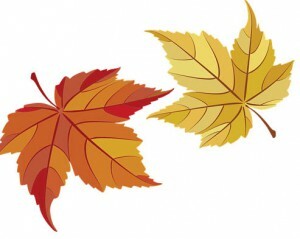 Idea 2: use one of the colored leaves (below), cut out and do the same thing as Idea 1. Idea 3: use one of the leaves in idea 2 or 3, put a person’s name on it then use it as a place setting card for the table. Have each person write on the back what they are thankful for. When any of these are done, scatter them around your Thanksgiving photos in your scrapbook. It’s fun to look back when the kids get older to see what they were thankful for on any given year. What a difference a few years can make. LOL. My kids always liked to see what they thought about “back then”. If you use Idea 3, you can then use washi tape as a hinge on the stem or front of the leaf (where the name is) and when it’s flipped up, you can see what the person has written. If you use a plastic page protector like I do on all my pages, the flip up leaves can be placed on the page protector but strategically around the photos on your page. Don’t let anyone rush you through the holidays. Enjoy each one and make all those memories. As much as you’d like to, you can’t get your hours or your days back. Make the most of every one. Thanks for reading. Please comment and let me know if you have questions or concerns.